The name ROBER GAEZ goes hand in hand with the current house scene and is , without a doubt, one of the Spanish artists with more musical projection in this discipline. 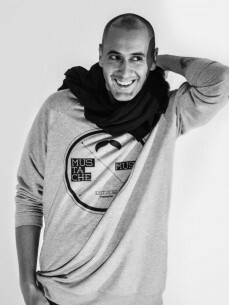 His career has been marked by David Penn´s record label, Urbana Recordings, which he´s been part of for the last 6 years.His professional and personal relation with this producer has taken him to create various tracks together with him, like “Sunshine People”, “What is house?” or “Darkness”., wich has been rewarded with the Dj Oners award, chosen as the best track of the year, to the point that it became nr. one on beatport.com. Mustache Music is the name of his new label which, only a few months within its presentation, already started with a spectacular support from its listeners and the support of deejays as relevant as Richie Hawtin, Marco Carola, Luciano and more professionals from the music scene that have backed up Rober Gaez´s project. The social and the scene´s support guarantee the importance of this artist that, during the years of his his career, has received more than ten nominations at Deejaymags awards, with his explosive productions and his powerful dj sets. His unstoppable musical projection, which is the harvest of his non-stop lifelong dedication to music, has allowed him to work with artists such as Frankie Knuckles and edit albums with record labels as important as Defected, Great Stuff, Nervous, Sphera, Nocturnal Groove, Milk & Sugar, not forgetting his works at Moustache Music and Urbana Recordings. Rober Gaez´s career opens the view to a musical horizon marked by the good quality of his various works and the capacity to impress the public on dancefloors around the world.